The biggest U.S. manufacturer of French fries, which grows potatoes and produces the fries in Washington, has recently introduced a new variety with a special batter that can keep crispy for close to an hour — even after being microwaved at home. The perfect French fry is crispy on the outside and fluffy on the inside. A French fry that has been delivered to your home is often the opposite: cold, soggy and limp. Lamb Weston, based in Eagle, Idaho, is the country’s biggest manufacturer of those potato delicacies and wants better fast food. Its customers, like McDonald’s and Yum Brands, the owner of KFC, are increasingly teaming up with on-demand delivery services. But travel is brutal for French fries, especially when they’re squeezed next to a cold drink and a warm burger in a paper bag. 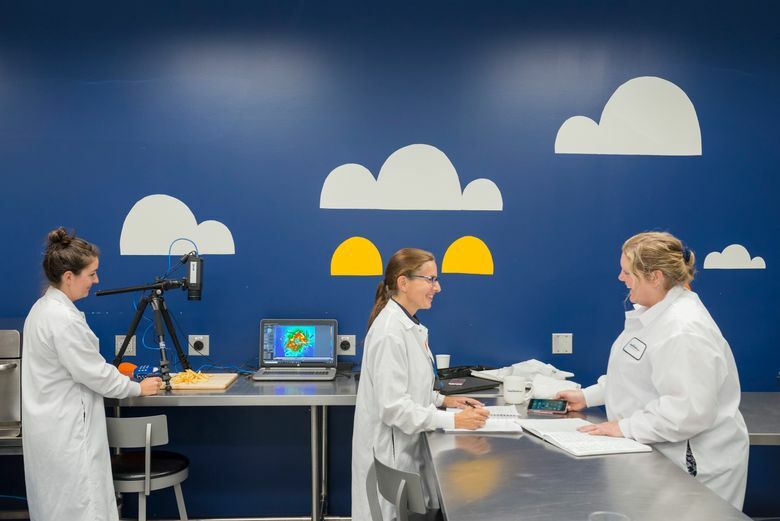 “If you put a French fry next to a shake, neither of them benefit,” said Deb Dihel, Lamb Weston’s vice president of innovation. The company’s basic French fries will stay crunchy for about five minutes. It has recently introduced a new variety with a special batter that can keep crispy for close to an hour — even after being microwaved at home. 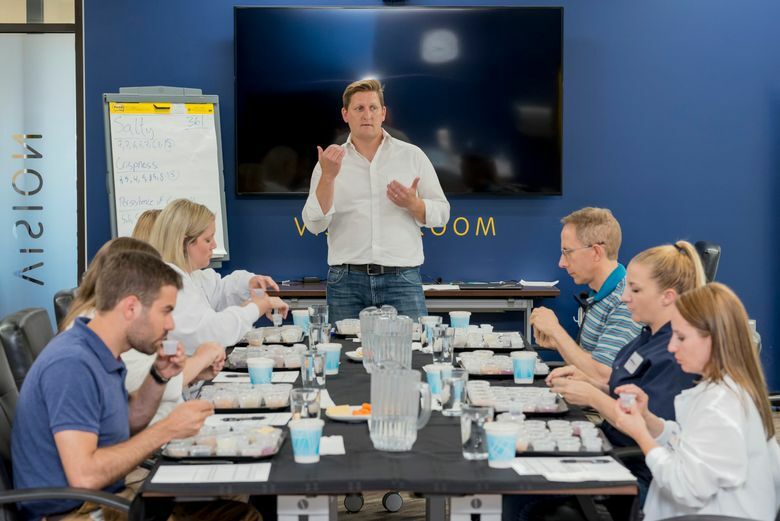 Spun out from the food giant ConAgra in 2016, Lamb Weston’s business is all about potatoes, with manufacturing operations focused in the Pacific Northwest. Last year, it sold more than $3.1 billion in Tater Tots, hash browns and fries of all types. There are straight-cut, waffle-cut and crinkle-cut; battered, seasoned or breaded; and with a bit of potato skin or without. Some end up at global fast-food chains or local diners. The company also makes the Arby’s and Nathan’s frozen products that are sold in grocery stores. 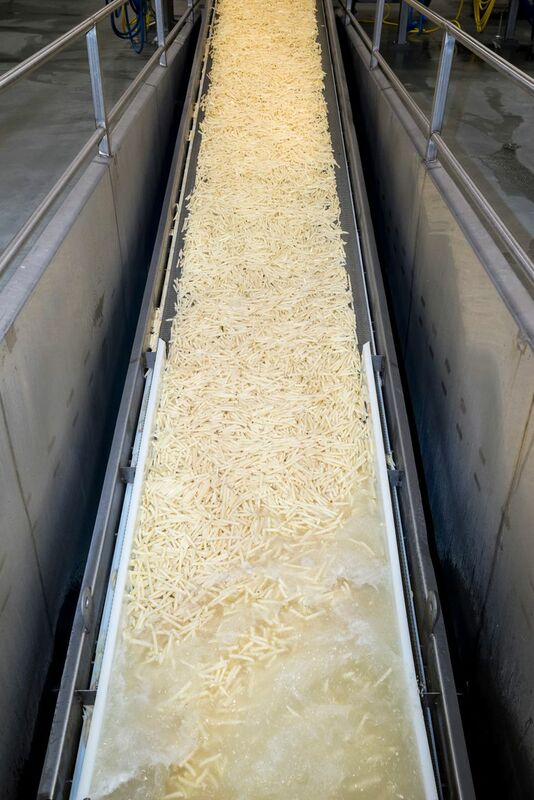 One of Lamb Weston’s 13 French fry factories, in Richland, Washington, produces 1 million pounds of potato products a day. A burst of steam peels the potatoes, and then they’re shot at 75 mph through metal blades that cut them into steak, wedge or straight shapes. Cameras identify imperfections like bruises and black spots, and little puffs of air knock damaged fries off the conveyor belt. In less than six hours, a potato can be plucked from the ground, turned into fries and packaged in a box. A new type of fry starts in the ground. At its farm in Paterson, Benton County, Lamb Weston grows half a dozen potato varieties on 20,000 irrigated acres, tracking even the most minute differences in hydration, temperature and other environmental factors. Potatoes with less water make for crispier fries. Too much water can make them limp. Workers monitor the fields from the Pentagon of potatoes, a room filled with computers that monitor soil conditions, crop maturity and irrigation. The plants are tested every week to measure their nutrients, a sort of blood test for plants. Using those results, workers can adjust how much water they give the crops. Lamb Weston started testing a longer-lasting fry two years ago. Employees on a visit to China noticed dozens of delivery scooters outside a McDonald’s. They figured the trend would go global, and wanted to be ready. Since then, delivery services in the United States have taken off, accounting for an increasing share of restaurants’ sales. McDonald’s has expanded its offerings for delivery, as have Wendy’s, Popeye’s and other fast-food chains. Jeremy Scott, a research analyst with Mizuho Securities, estimated that sales for third-party delivery services like UberEats and GrubHub reached nearly $8 billion in the United States in 2017, and have been growing at least 40 percent annually for the past three years. Lamb Weston had already developed a French fry batter that could keep fries crispy for 12 minutes. So food scientists at the company’s laboratory in Richland began tinkering with the recipe to extend a fry’s life even longer. When the fries drop into the hot oil, the batter, made mostly of uncooked starch, cooks instantaneously to form the crispy outer layer. Consistency mattered. If the batter was too thick, it would clog the factory’s machines. If it was too thin, it wouldn’t sufficiently coat the fry. “There’s a very fine balance of cling and thickness to get that film to form on the fry,” Dihel said. To protect the fries during delivery, the team created new packaging to keep out moisture while allowing for the right amount of ventilation. The system also includes guidance for customers on how best to prepare and package them. Plastic bags or tightly sealed containers turn into little saunas, making French fries soggy quickly. A paper bag, lightly folded over, is a better option. For better insights, an eight-person team spent several days in New York, riding along with delivery drivers. One researcher became an UberEats driver on evenings and weekends. They noticed that drivers sometimes placed hot items next to cold items, to the detriment of both. Drivers often work for more than one delivery service, which could add stops and slow an order’s travel. Lots of other unexpected mishaps, like street closings, car accidents or bad GPS guidance, can cost crucial minutes. Back at the laboratory, food scientists duplicate different hazards, packing French fries in white paper bags next to cold milkshakes or moist hamburgers. Bags are left alone for 15 minutes, others for 30 or 45. Their heat is measured using infrared cameras. Testers check how they fare. 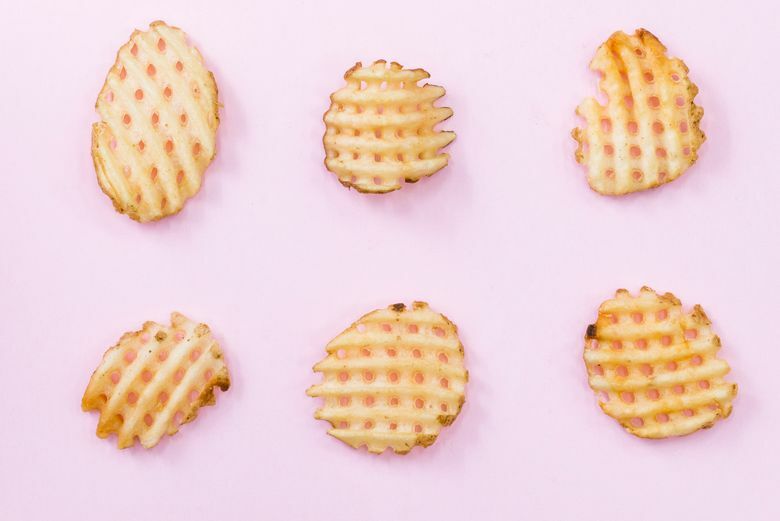 They take bites of chocolate, crackers and other foods, using them as bench marks to rate the fries’ crunch, sweetness and other attributes. There’s lots of chewing, but not a lot of eating. The testers try so many fries that they each have spit cups, much like wine tasters.